On 6 September 2018, the Competition Commission (the “Commission”) commenced proceedings in the Competition Tribunal (the “Tribunal”) against three companies and two individuals – Mr Chan and Mr Lam in relation to the provision of renovation services at a subsidised housing estate in San Po Kong. Notably, this is the first time that the Commission has brought an enforcement action directly against individuals. The Commission alleged that the three companies, as renovation contractors, had agreed to split among themselves the renovation work for at least 178 units at King Tai Court, a newly developed subsidised housing estate in San Po Kong, around June to November 2017. The Commission also alleged that the three companies coordinated the pricing of their renovation packages offered to the unit owners. The three companies have contravened the First Conduct Rule (the “FCR”) under the Competition Ordinance (Cap 619) (the “Ordinance”) by engaging in the alleged cartel, the Commission alleged. It was also alleged that Mr Chan and Mr Lam, who were in charge of the renovation work at two of the contractors, were involved in the contravention of the FCR by their participation in the alleged cartel. The Commission is seeking fines from the three companies and the two individuals, as well as an order that Mr Chan be disqualified from serving as director of a company. The Commission had brought 2 cases before the Tribunal before this one but this is the first instance in which the Commission has brought a direct enforcement action against individuals. Under the Ordinance, individuals can be held liable by virtue of “being involved in a contravention of a competition rule”. The Tribunal may, amongst others, impose fines and order that such persons be disqualified from being directors. As emphasised by the Commission, holding companies liable is not the only means to achieve the Commission’s primary goal of combating cartels. It is recognised that companies are creatures of law and cannot act on their own. Companies act through individuals and therefore every contravention by a company necessarily involves individual wrongdoing. This is why the Commission thinks it is also essential to deter individuals from contravening the Conduct Rules by the use of pecuniary penalties and disqualification orders. Notwithstanding the Commission’s power to initiate enforcement action against individuals who are involved in a contravention of a competition rule as aforementioned, the Commission has stated in its Enforcement Policy that its enforcement priority is to take action against individuals who manage the companies contravening the Conduct Rules or otherwise directed the impugned conduct, rather than the frontline or junior staff who follow their instructions. This case has two important implications to market participants in all business sectors. First, it affirms the Commission’s enforcement priority to combat cartels, particularly in respect of the provision of renovation services under the Housing Authority’s Decoration Contractor System. 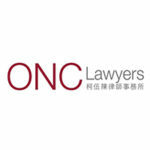 Cartels are generally regarded as “serious anti-competitive conduct” under the Ordinance to which the exemption for smaller businesses does not apply and the Commission may not be required to show the effect of the impugned conduct on competition in Hong Kong. Using this enforcement action as an example, the alleged cartel may still be considered anti-competitive even if the unit owners of King Tai Court were free to choose renovation services providers other than the three companies in question. Second, individuals who engage in any kind of anti-competitive conduct should not expect immunity under the law. While the Commission has made it clear that its enforcement priority is to tackle cartels, the Ordinance itself does not preclude enforcement actions against companies and individuals engaging in non-cartel anti-competitive conduct. Personal liability can therefore be imposed for contravention of the Conduct Rules including cartels and non-cartel anti-competitive conduct. To minimise personal liability, frontline or junior employees who are instructed by their seniors to engage in anti-competitive conduct should approach the Commission or seek independent legal advice. The Ordinance is supportive of such staff by providing that employees assisting the Commission in carrying out its functions are protected from termination of employment, discrimination, intimidation and harassment.